I am a little late today posting this. My week has been quite busy and I hope to get back on top of it before Mother’s Day on Sunday so I can sit back and relax! LOL! 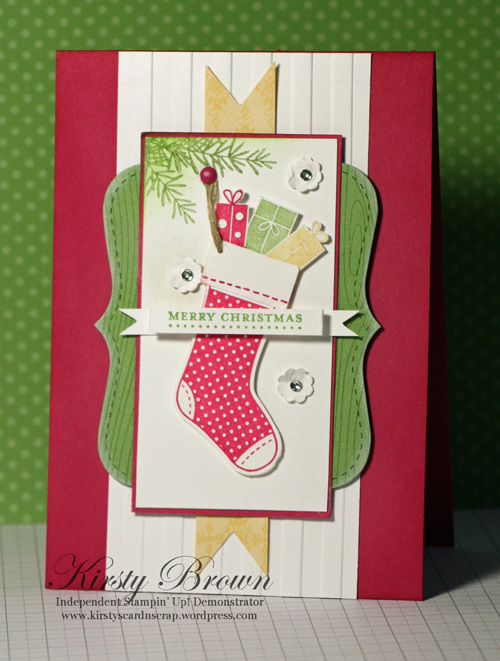 I love this combo for Christmas cards, it has a lovely country feel to it. I have used the Framelits die yet again, but this time I used the negative as an accent. 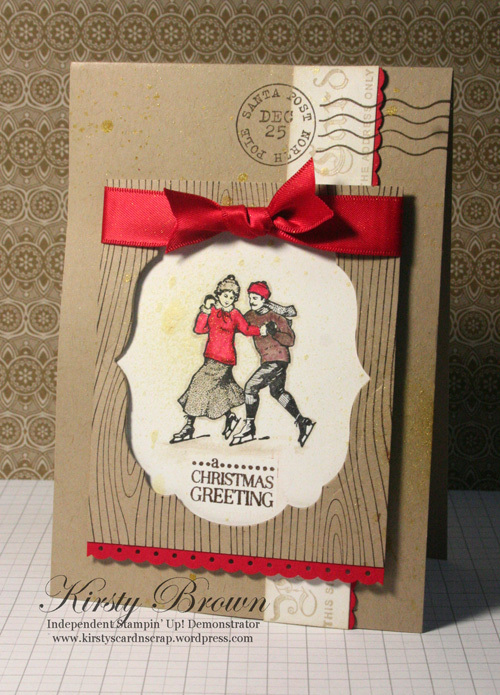 You can also see I have used the gold Shimmer Mist over the card to Christmas it up a bit. Stamp set used is my favourite Christmas set, Winter Post and the sentiment is a part colouring of a stamp out of Tags til Christmas. I also used my favourite background for Christmas cards, Woodgrain. Long time no post! I can tell you all the details about what I have been doing but I don’t want to bore you. We have just had some changes in our household and it is taking some adjusting. I hope to be back to regular programming soon. 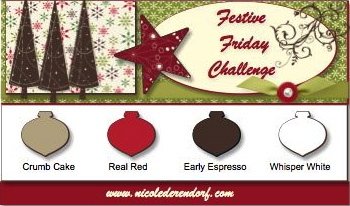 Today though is all about the Festive Friday Challenge #16. 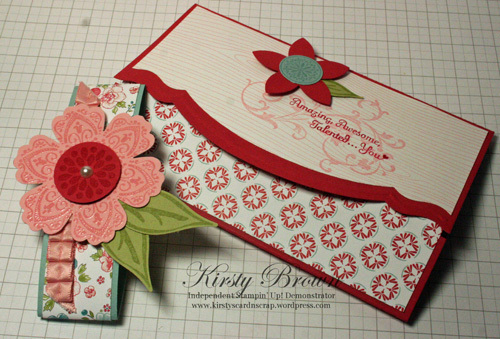 It is all about punched flowers for a Mother’s Day theme. I hope you all get to play along. Here is my submission for the DT duties! I love making different shaped cards and I wanted to incorporate the brand new edgelit die and embossing folder which is featuring in our new Autumn/Winter mini. The link to it is on my sidebar. 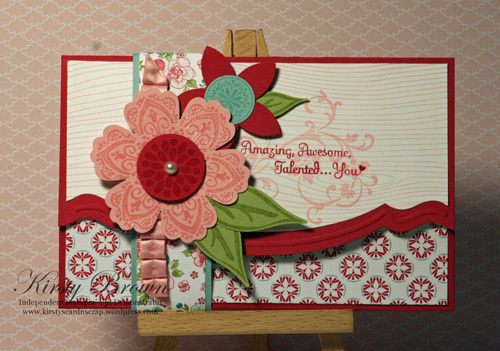 I also used new stamp set Mixed Bunch and the coordinating punch, plus some gorgeous new DSP called Twitterpated. 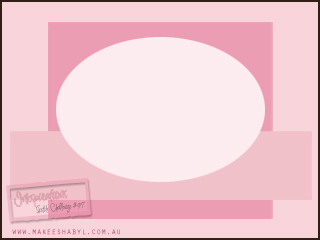 I still have heaps of retreat creations to share…so don’t go anywhere. I managed to play with a set that I thought wouldn’t interest me. It was another challenge set by Mads. 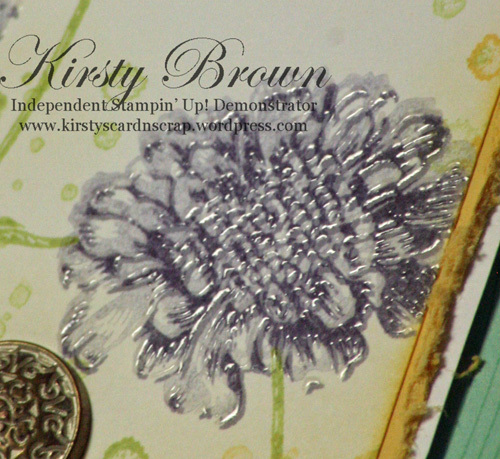 It was Make a card with a stamp set that pushes our boundaries, something that isn’t normally your style. I chose Everybunny for a couple of reasons. Watercolouring an image has never been one of my stronger suits and I don’t do Easter Cards. I have made one before for a workshop, but I have never made one to give to someone else. For the challenge we could earn extra points if we used our least favourite colour. Well I forego those extra points and used my favourite colour, Calypso Coral. LOL! This card is actually prettier than it looks in this photo, but you het the general idea. 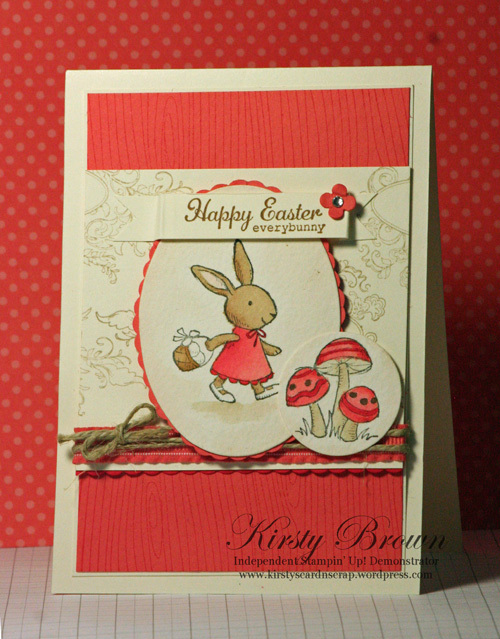 It is probably one of my favourite cards from the weekend and I will now be buying the Everybunny Stamp Set! LOL! 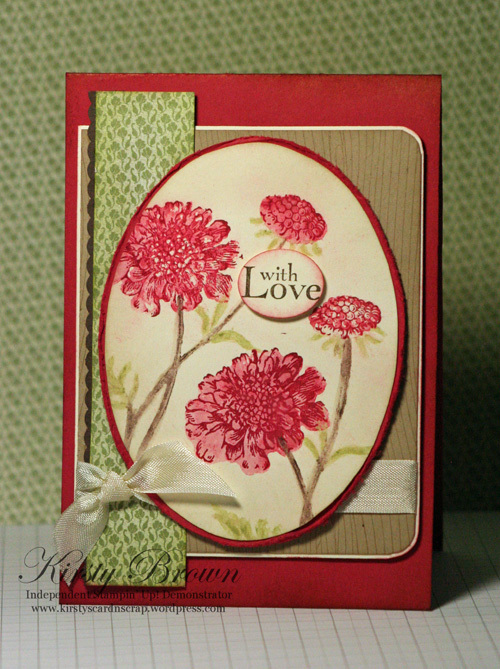 I used the stamp sets Field Flowers, French Foliage and Precious Butterflies for the sentiment. I used one of my favourite brads and the pretty Pool Party ribbon to add an accent. I also used the Woodgrain BG stamp on the base. It was great having a go at a challenge again…..should do it again real soon! I am super excited!!! Tomorrow I am leaving for Rockhampton to my sisters’ for two weeks to help her with her first baby which is due today. I hope she holds out until I get there! LOL! I am going to be an Aunty for the first time and like I said I am super excited. I might even bring back my little nephew with me, but shhhhhh my sister doesn’t know yet that I night be stealing her baby!!! LOL! I am really happy with my creation. I had a play with Stitched Stockings a stamp set available in the brand new Summer Mini. I also used the stamp set I Dig You for the presents. Pretty cute idea huh? I am sure I am not the first to think of it though. LOL! The Christmas tree branch is from the Tags Til Christmas set. I just used my Old Olive marker to ink with. Super easy. Make sure you check out the rest of the DT’s creations at the Inkspiration Challenge Blog and of course to submit your design. Oh by the way, even though I am going away for two weeks I will still be doing the challenges. I have worked ahead and have organised scheduled posts. So do come back and check them out. It’s Inkspiration time! This week it is a sketch. Anyway here’s the fourth attempt! I stamped the bolder image with the crayons and then the outline image in ink. I love this effect and might play with it some more. Maybe with the Hello Friend set. I think that would fabulous. 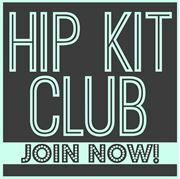 Don’t forget to check out the Inkspirations Challenge Blog to submit your creation and have a bo peep at the rest of the DT’s gorgeousness. 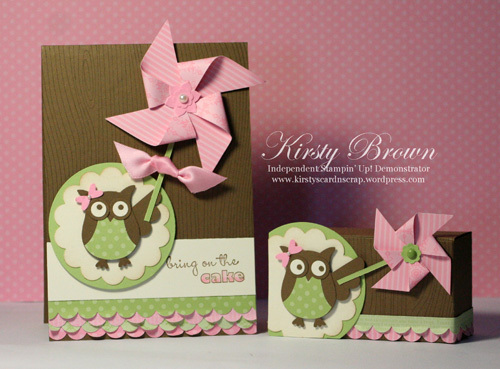 The Owl and the Pinwheel! Gee I hope I pick up my game with the blogging soon. I have been creating some pretty cute and cool stuff with the owl punch. Gee what took me so long to play with this awesome, quite versatile tool?! I know what you’re thinking……she said versatile!! what is wrong with her? Can’t she see that it just punches out owls????! Stupid woman! Well I will have to show you what I have been creating with it tomorrow! 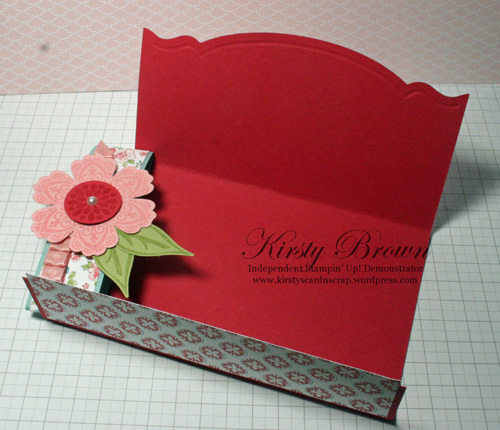 But first I will show you a project we had this week at my workshops. Isn’t she just the cutest??? It’s probably why I haven’t stopped playing with the punch, lol! I’m likin’ the pinwheels at the moment too. I’m not quite sure what made me put them togetether…LOL! But the owl looks cute holding the pinwheel! Oh well best be off to make more things with this owl punch!